Vertebral artery arises from the first part of Subclavian artery. 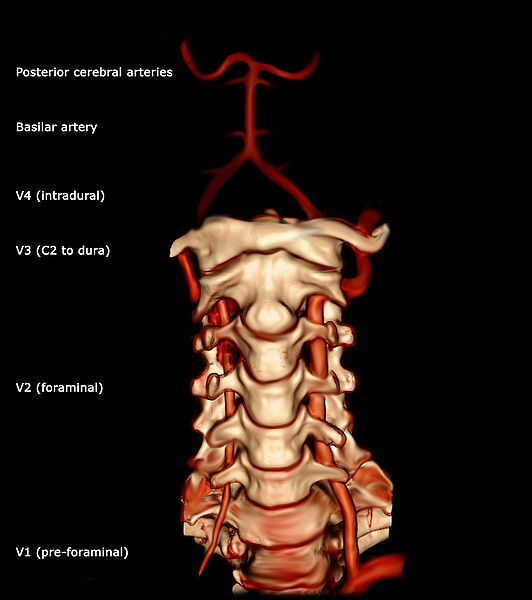 Vertebral artery is the first and the largest part of Subclavian artery. V2 segment– Runs through foramen transversaria of upper six cervical vertebrae. Extends from posterior atlanto occipital membrane to lower border of Pons. Pierces duramater, arachnoid mater and enters subarachnoid space. Cervical branches– Spinal and muscular branches. ← Common entrance for MBBS and PG,confusion prevails as the debate continues.